Anger management skills can be taught in an educational or therapeutic way depending on the format. Typical settings offer anger management to 8-12 participants. There is scientific support that anger management offered anywhere from 8 to 16 sessions can be helpful in reducing anger symptoms. This program can be applied to various forms of anger, whether it takes place at home, in the workplace, or on the road (road rage). What are signs of anger issues? The signs of anger management issues may be obvious. But sometimes they are not obvious to those of us who have anger management problems. Anger has been called a moral emotion. People are often angry at other people for behavior they see as immoral, inappropriate, unfair, unjust, mean, incompetent, etc. You may be right! It may be that your anger makes complete sense given the situation. Your thoughts might be completely accurate, i.e., that other person is behaving like a jerk. In those cases we may feel justified, even righteous. In those cases we may say really harsh things or even do extreme punishing things to someone who has crossed us or done something bad to someone else. We may even feel good about that. In these cases, it may be tough for us to recognize that even if the other person’s behavior was bad and our response makes sense for a lot of reasons, it could be that it also causes problems in the long-term. And while this response might feel good and could be seen as justified, it might fix things in the short-term, but cause damage in the long-term or when it becomes a pattern. The good news is there could be ways to address other people’s behavior that doesn’t make us a doormat, doesn’t tell them it is ok, but also keeps us from having long0term problems. Managing anger is not an easy task. Fortunately there have been a number of treatments that have been demonstrated to help people feel less angry and behave effectively even when they are angry. Importantly, there have also been “anger management treatments” provided by well meaning therapists (who even specialize in anger management) that are ineffective (a waste of time and money) or in some cases, even make the anger problems worse! Some scientific studies have shown some of the techniques/therapies used have made people more aggressive. So it is critical that the anger management specialist you see is very well versed in the anger management research. Unlike some issues, it is not well understood by many clinicians and can be made worse. Relaxation techniques, cognitive therapy, communication skills, and problem solving skills have all been shown alone and in combination with each other to effectively improve outcomes for people suffering with anger problems. And in one study we conducted not only did the anger problems improve, but so did depressive symptoms. This was a small study, but it was an interesting finding to see that anger management group members improved in both areas. Relaxation skills, cognitive coping skills, communication skills, and problem solving skills have all been shown to help people manage their anger. Learning to relax can be a very effective way to calm down your “Fight or Flight” response, which is how your nervous system responds when you are experiencing fear, anxiety, or anger. Different kinds of relaxation skills can be learned. Paced respiration is a form of breath work, which leads to a relaxation response. The form of paced respiration I recommend the most is 4-7-8 breathing. In this form of relaxation you inhale for a count of four, hold for a count of seven, and then exhale for a count of eight. The exact amount of time of each phase isn’t critical, it is the ratio that is important. When our exhalation is much longer than the inhalation that tells our brain to calm down, nothing is dangerous, and we don’t have to prepare for battle- just relax. Cognitive coping skills involve you learning to become aware of your thoughts and beliefs and identify the ones that may be causing your anger or making it more intense than you want it. These beliefs are often overgeneralizations, unrealistic expectations, exaggerated evaluations, black and white thinking, and other related cognitive errors. You can also find times where your logic or reasoning may not make sense, but leads to anger unnecessarily. Once these cognitive distortions and faulty reasoning have been identified, you can work to challenge them and develop more effective ways of thinking about things. This doesn’t mean you think positively about triggers that are clearly negative. It means you become more accurate in your perception of the triggers, realistic about your own strength and ability to handle them, and become logical and effective in figuring out what they mean and how to address them. Anger problems frequently involve other people. After all, people “tick us off!” People do all kinds of things we don’t like. And it turns out the people that most frequently cause our anger are those people that are closest to us, e.g., our parents, spouses, kids, bosses, coworkers, etc. So you’re going to have to see these people again, and you might even have to talk to them. So it is important to learn how to talk to them in ways that don’t make things worse. Anger management problems often involve verbal fights with these people. Someone triggers you, maybe you aren’t expecting it, you say something, he or she gets worked up, someone becomes defensive, then both of you are offensive, and it either blows up or someone then withdraws and doesn’t want to talk- for a long time. Or it could be worse than that. The idea here is that we want communication to be effective and improving things, we don’t want talking to escalate things and cause more anger and hurt. Effective communication skills involve learning what language can deescalate a situation where you are feeling angry, anxious, misunderstood, hurt, or embarrassed. Effective communication takes practice, but can be learned quickly. You can learn how to be direct without being aggressive, how to ask for what you want without sounding overly demanding, and how to let someone know what you’re feeling without being viewed as passive-aggressive. Many anger problems result from escalating conflict with someone we care about from saying the wrong things. But there are often underlying problems that have just gone unaddressed for unresolved for too long. Problem solving is a very specific set of steps that help you take an active role at taking an existing problem, taking it apart, implementing the best plan you have to resolve it, and having a way to assess if it is really resolved or you need to try again with a new plan. Problem solving can be done just by you, or if the anger problem involves someone you love (who is willing- many times this isn’t the case), you can do the problem solving steps together. The bottom line is that for many of us, what “P**s us off,” are the same underlying things again and again. Some of these may not be fixable, but for those that are, problem solving skills are critical. Imagine if you can fix even 30% of the problems in a particular relationship with these skills– could that improve your satisfaction in the relationship a little? So there are a number of effective skills you can learn to reduce your experience of anger and make your behaviors more constructive. This can lead to being more satisfied in your relationships, better sleep, a happier work environment, and even more productivity as you aren’t as bogged down by conflict or consumed with ruminations. Space is limited in these anger management groups in NYC. If there isn’t room in a group, you can meet one on one with an anger management therapist. Some people really prefer working in a group because they can identify with other people’s shared experiences, support one another, and learn from each others’ mistakes and successes. And for other people, they prefer to work individually. You have to decide what is best for you, and for some people they utilize both or try both and decide what is the most effective. For Details or to schedule an intake, call our office or go to the Contact Us page. The program is based on scientific evidence and helps participants learn cognitive behavioral (CBT) skills to change the intensity of anger, manage stress, assertively communicate, and problem solve. The skills are taught according to SAMSHA Anger Management (Substance Abuse and Mental Health Services Administration) standards. Classes are run by Clinical Psychologists, Social Workers, and Mental Health Counselors. Individual and group therapy typically start at $95 to $125 per session. Please call our office though to verify the current rates. Why should I pick an anger management class or individual anger management? Whether an anger management class, an anger management group, or individual anger management therapy to some extent depends on the person. Basic issues of price and scheduling need to be considered at the outset. Typically individual anger management will offer a lot more options in terms of scheduling days and times and also greater flexibility to accommodate vacations and the need to reschedule. Rescheduling a group or class is typically not possible. For many people, a group situation can be beneficial. There is the opportunity to learn from others, to have our issues normalized as we recognize our own behaviors in others, and also to see how our poor choices or ineffective behaviors have negative outcomes – some times it is easier to see this when someone else demonstrates it. We can also practice having empathy, using perspective taking, and learn through teaching others. There are also opportunities to practice interpersonal skills like communication and conflict resolution in a group setting. With that said, there are also potential downsides to a group setting. Some of us may not be ready to share in front of a group, or may be prone to arguments and conflicts prior to developing anger management coping skills. If that is the case, starting with individual anger management with the option to try a group later could be a reasonable way to start. So individual anger management can let people schedule more flexibly, share without much of an audience. But it doesn’t give as many opportunities to practice interpersonal skills with many others, or to have the very real triggers that can come up in a group setting with other group members. Again, these can be opportunities, but they could also set someone back if they aren’t handled well. So, before you decide on an anger management group, it may be a good idea (or required) to have a professional meet with you to determine your preferences, tendencies, current stress, and existing coping skills. How much is an anger management class? Anger Management can be expensive. Anger management in NYC can be especially costly. Of course, there are costs in our lives if our angry behaviors go unchecked as well. The financial concerns are very real and can be stressful. Unfortunately, those have to be weighed against the costs to our romantic relationships, potential problems at work, family relationships, health and medical risks, and even friendships. In New York, the costs of anger management will vary greatly. You may find anger management for $95 per session and ranging up to $400 per session. It is really important for you to be realistic about what you can afford and how much time and energy you can commit to doing the work to improve. Then you can contact different people or places that offer anger management to determine the best fit for you. Signing up for a treatment program you can’t really afford can potentially really cause problems as becoming stressed and anxious about the cost may only make changing your angry behaviors tougher. So it is important to think through carefully first what you want, can afford, and are willing to commit. Fuller, J.R., DiGiuseppe, R., Fountain, T., O’Leary, S., Lang, C. (2010). 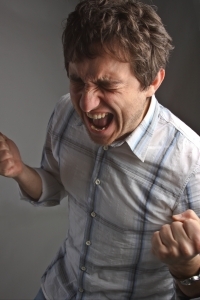 An open trial of a comprehensive anger treatment program on an outpatient sample anger. Journal of Behavioural and Cognitive Psychotherapy (2010), vol. 38(4), pp. 485-490. Fives, C. J., Kong, G., Fuller, J. R., DiGiuseppe, R. (2006). Aggression, anger, and irrational beliefs in adolescents.Cognitive Therapy & Research.